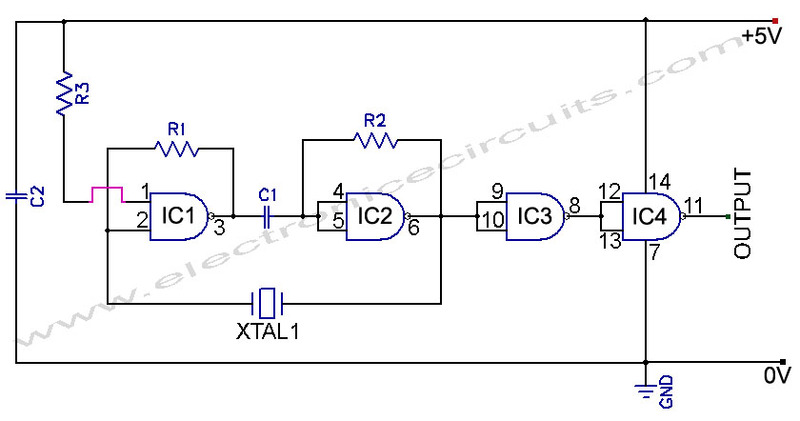 A circuit using one 7400 TTL IC can use crystals of the fundamental type, from 1 to about 15MHz. 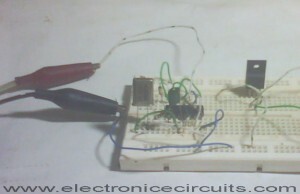 The circuit above shows a series resonant oscillator circuit, using TTL NAND GATES. Don’t use 74HCT00 type IC. HCT type will not work, because this type is too fast. Output is rich in harmonics, making this oscillator useful for calibrations and test applications. I’m planing to use same schematics with a 74HC00D chip to generate about 18MHz for ARM7 microcontroller source clock. Thank you so much for your circuit. It’s very helpful to me!